Call us old before our time if you want, but it sure seems like students these days are getting lazier. Our proof? 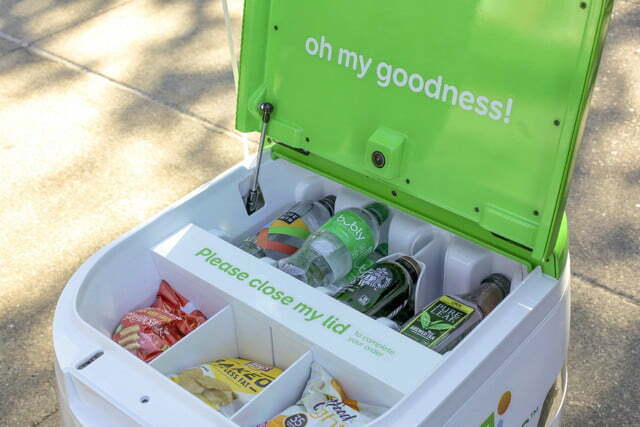 That students at the University of the Pacific in Stockton, California, no longer have to go to the vending machine to get their snacks. Instead, the vending machine comes to them — courtesy of Pepsi’s fleet of roaming Hello Goodness delivery snack bots. 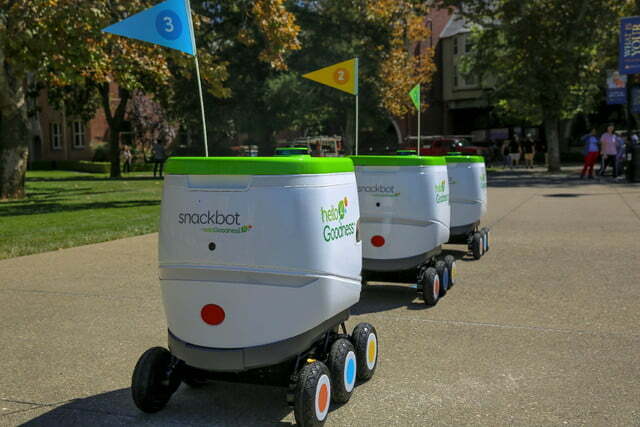 These autonomous robots will deliver an assortment of snacks to 50 locations around the 175-acre campus during daylight hours. The robots can be summoned using an app, and then open up to release their nutritious (or, at the very least, delicious) contents upon arrival. Their on-hand inventory includes Smartfood Delight, Baked Lay’s, SunChips, Pure Leaf Tea, Starbucks Cold Brew, and more. 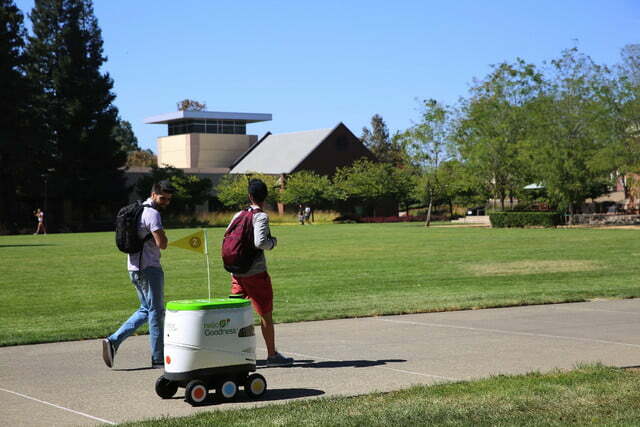 The robots are designed to travel upward of 20 miles on one charge, are capable of moving across challenging terrain (certainly as challenging as university campuses get), and can navigate in a variety of weather conditions. 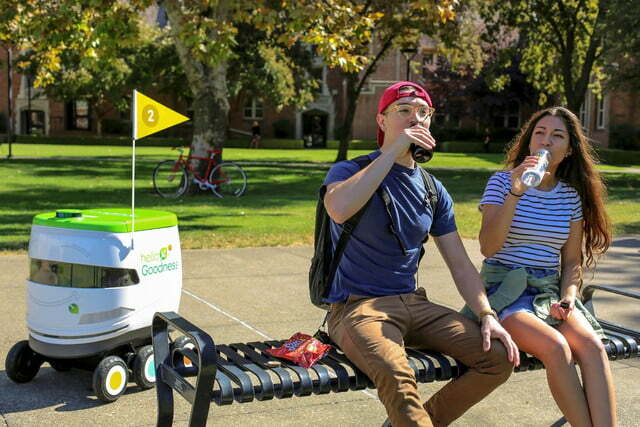 While Finlow acknowledged that part of the appeal is the fun novelty of having a robot deliver your snacks, he also noted that it offers potential for scale and efficiency by being able to deliver food to more people than a traditional vending machine. 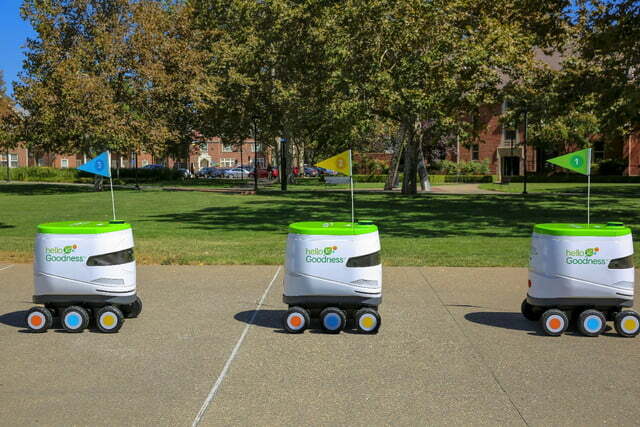 Between this, mail delivery bots, and rivals like the robots build by Starship Technologies, it seems like 2019 may be the year in which delivery robots finally go mainstream.